As Congress begins to consider how to bring America's infrastructure into the 21st century, one crucial component of a modern foundation can't be ignored: updating our old, frayed electricity system. 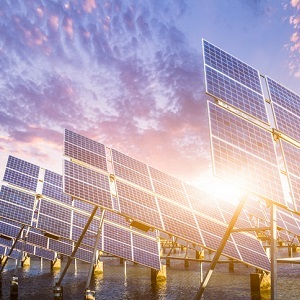 A clean energy infrastructure is a major job creator (with solar jobs increasing more than 20% in the last four years) and an opportunity to spur economic growth (with the advanced clean energy market worth $200 billion in 2015—bigger than the U.S. airline industry and equal the pharmaceutical business). Tell Congress: Invest in a cleaner, more efficient infrastructure. Don’t squander the economy of the future. In an increasingly politically divided climate, there is one issue that is seeing a growing bipartisan consensus: America is long overdue for major infrastructure investments. But as we work to rebuild roads and bridges, we can't forget that our old, frayed electricity system is a crucial component of any infrastructure updates. Not only will including clean energy and energy efficiency increase grid reliability, but it will create jobs and spur economic growth. Solar jobs have increased more than 20% each of the last four years, and the advanced clean energy market was worth $200 billion in 2016 (bigger than the U.S. airline industry, and equal to the pharmaceutical business). Any efforts to advance America's infrastructure must include: * Optimizing efficiency in our electric grid and promoting smart grid technologies to empower consumers and give them the tools they need to waste less energy and save money. * Advancing electric vehicle charging stations to help bolster our transition to cleaner electric vehicles. * Repairing and replacing pipelines to prevent leaks and spills. * And promoting energy efficiency in American industry to reduce costs, improve competitiveness, and strengthen job creation. As you consider solutions to America's infrastructure issues, please ensure that these crucial components are included in any updates. Investing a cleaner, more efficient infrastructure can help us win the economy of the future. We can't afford to squander this opportunity.